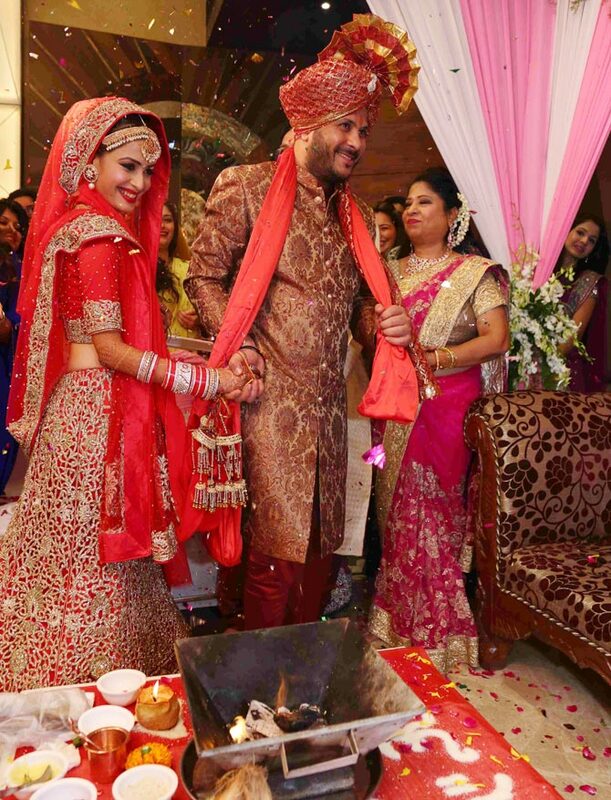 Rediff.com » Movies » PIX: Inside TV actress Dimple Jhangiani's wedding! 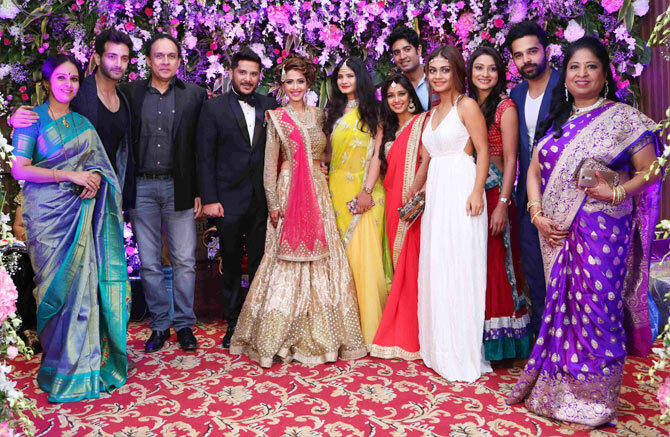 PIX: Inside TV actress Dimple Jhangiani's wedding! 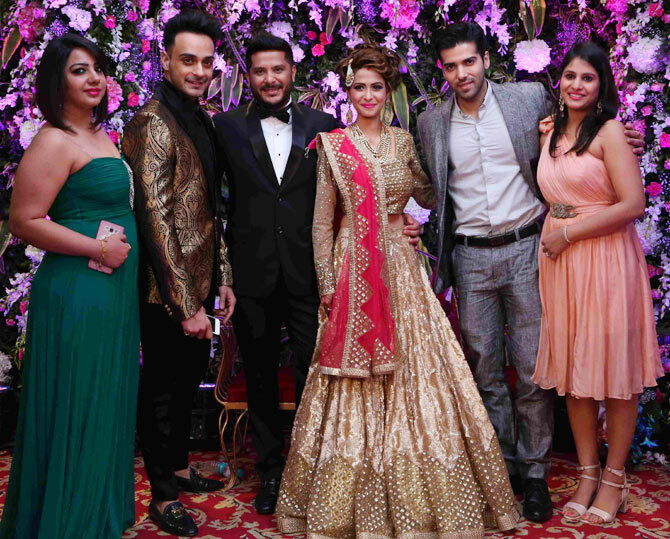 Television actress Dimple Jhangiani tied the knot with diamond merchant Sunny Asrani on December 9. 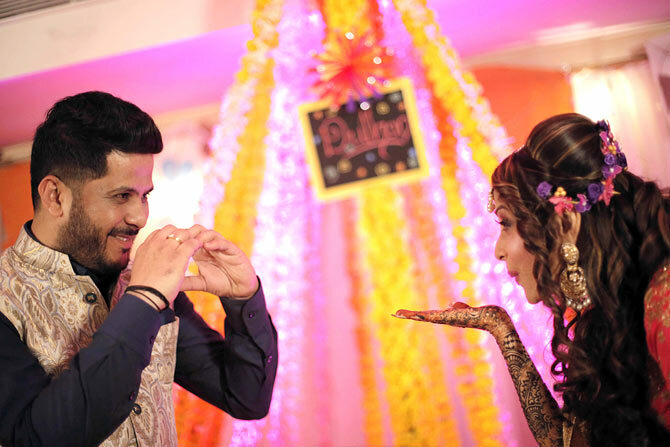 Dimple, who was last seen in the television show, The Tumhi Ho Bandhu Sakha Tumhi, had taken a break for her wedding. The bride and the groom looked stunning on their big day. The newlyweds are all smiles. 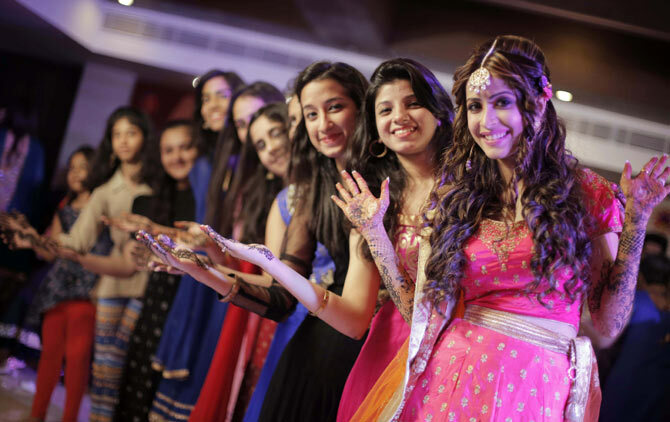 The wedding happened was in true Sindhi style, with the rituals and ceremonies. Dimple is the only child and her parents wanted her wedding to be done with all the rituals. She had a Cinderella themed wedding. It was cake cutting time! The then bride-to-be poses with her girl gang. They look so much in love. The bride strikes a pose. 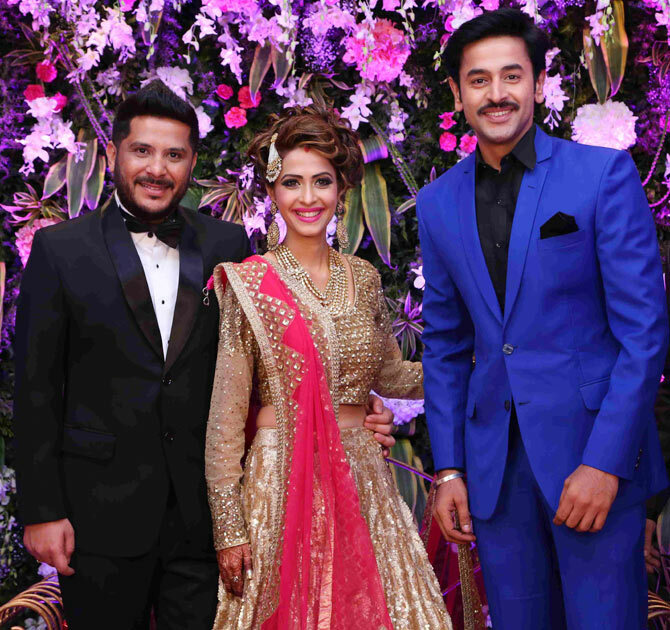 Shashank Vyas poses with the newlyweds. 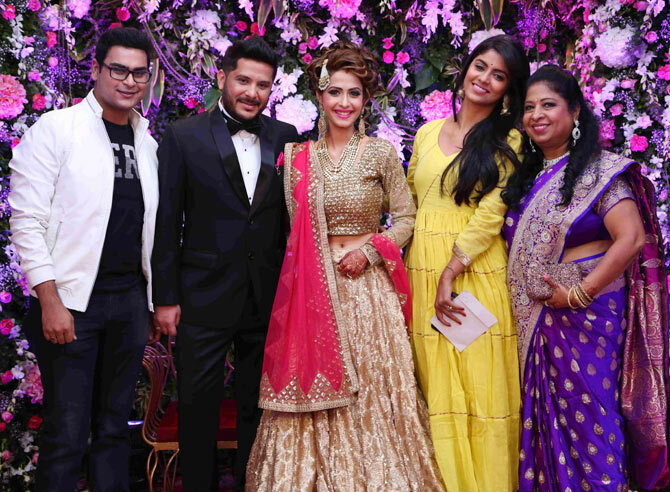 Sayantani Ghosh (in yellow) greets the couple. Kinshuk Mahajan (in the grey suit) made sure to attend the reception. 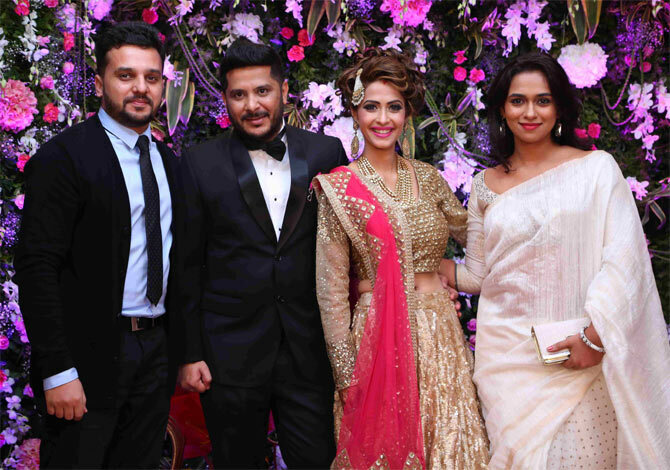 Prerna Wanvari and her boyfriend Khalid Khan pose with the couple. The Tumhi Ho Bandhu Sakha Tumhi cast. Quiz: How well do you know Venkatesh?